Happy Monday, lovelies! 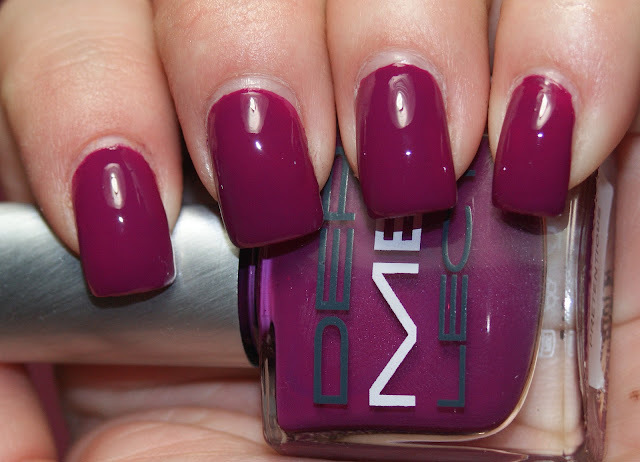 Today, I'm going to show you three polishes I was sent from Dermelect's ME Collection. Dermelect color treatments are peptide infused, which helps to strengthen weak, brittle nails, restore flexibility, and resist chipping and splitting. In addition to being 3-free (DBP, Toluene, and Formaldehyde free), it is also cruelty free! First up is Pretentious, a fuchsia creme polish. The above is with two coats. I love just how rich and glossy this polish is, without a top coat. Its opacity is stellar and the formula was perfect. 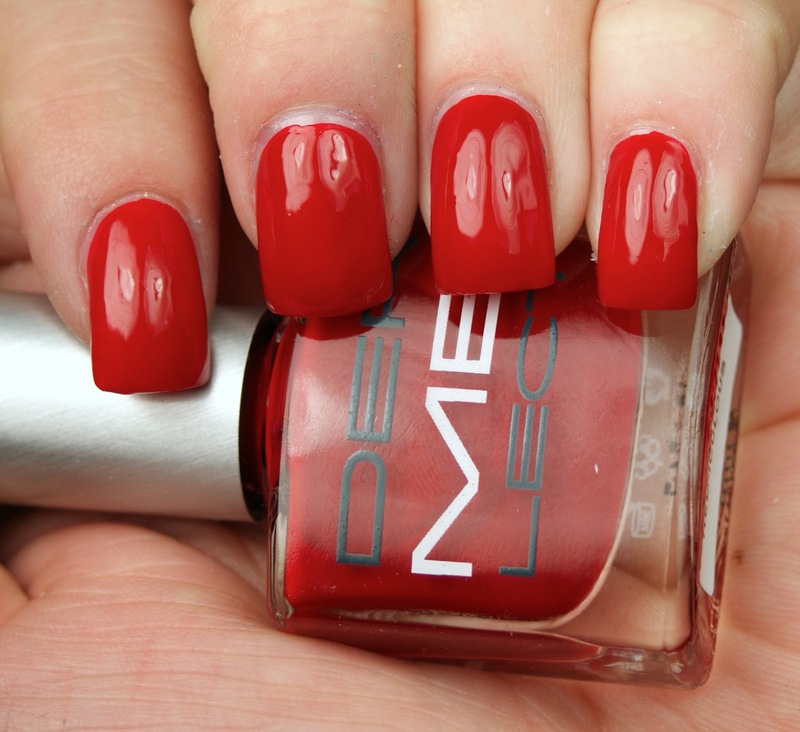 Next is Red-iculous, a tomato red creme polish. Above is with two coats, as well. 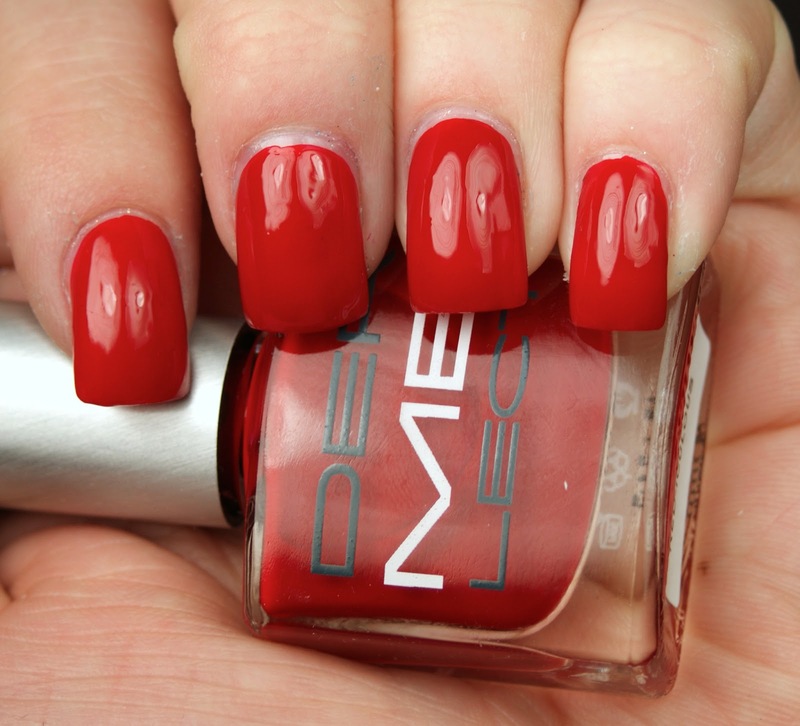 This shade is a classic go-to red you can wear on tips or toes. Formula and opacity were just as awesome as Pretentious. The last of the three is Vivacious, a pine green creme polish. Just like the others, Vivacious has a luxurious shine to it, with awesome formula that is opaque in two coats. Overall, these shades were high-gloss and high performance. For those of you who have issues with chipping after day 1 or have your hands constantly in water or detergent, Dermelect says these shades are chip, water, and detergent resistant! While the formula was great, these shades are a bit pricy at $14 a 0.4 fl. oz. bottle. That is really the brand's only downside. If you'd like to read more about the Dermelect collections or order bottles for yourself, please visit Dermelect.com or Dermelect on Facebook!